NEW YORK, NY -- (MARKET WIRE) -- October 10, 2005 -- Investment firm W. P. Carey & Co. LLC (NYSE: WPC) announced today that it provided The Compass Group International LLC, a Westport, CT and Laguna Hills, CA-based private equity firm, financing to complete its acquisition of Advanced Circuits, Inc., a manufacturer of low-volume, quick-turn and prototype printed circuit boards. W. P. Carey, on behalf of its affiliated income generating real estate fund, Corporate Property Associates 16 - Global (CPA®:16 - Global), acquired Advanced Circuits' manufacturing and office facility, located in Aurora, CO, for $5.3 million. The Compass Group used proceeds from this sale-leaseback to complete its acquisition of Advanced Circuits. Anne Coolidge Taylor, a Managing Director at W. P. Carey, said, "Our sale-leaseback of Advanced Circuits' Colorado facility occurred simultaneously with The Compass Group's acquisition of Advanced Circuits. The transaction highlights how private equity firms can utilize sale-leaseback financing to build their portfolio of companies and effectively convert these real estate assets into capital to complete their acquisitions." Elias Sabo, a Partner at The Compass Group, said, "We enjoyed working with W. P. Carey to complete this transaction and look forward to working with them further. We are excited about Advanced Circuits' prospects and the sale-leaseback financing facilitated by W. P. Carey was a key component of our ability to complete the transaction in a timely manner." 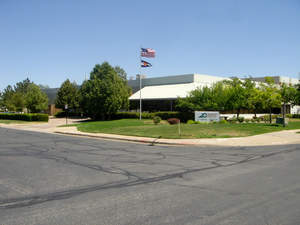 Advanced Circuits, Inc., Aurora, CO.